Actor Michael Vartan is “single,” but would he ever rekindle his romance with Jennifer Garner? Vartan and Garner met on the set of “Alias” and would date for a year until 2004. 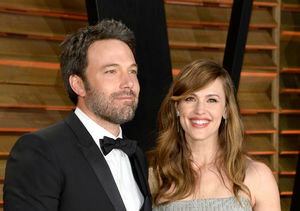 A year later, she wed Ben Affleck, the father of her three children, but they called it quits in 2015. As for the possibility of reconciling, Vartan just told E! 's Daily Pop, “Oh, my God… I don't think so. If it didn't work once, there's a reason it didn't work." He pointed out, “Everyone's getting single. It's crazy. Everyone's realizing that is so much easier to be single. I love relationships. When they work, when they're great, they're great and when they're not, they're not." Vartan, who jokes that he is “single for life,” does have a special girl in his life — his chocolate Labrador Millie. He gushed, “She's the love of my life. I adore her." Michael was previously married to Lauren Skaar, but she filed for divorce in 2014 after three years of marriage.